Payment is due the morning of the class in the amount of $179.00. After the class is complete, you will pay $60.00 at each of the two three-hour behind the wheel driving sessions. This is the course required by the Department of Motor Vehicles for students who have permits and are looking to obtain a conditional or restricted driver’s license. This course consists of nine (9) hours of classroom instruction and six (6) hours of behind-the-wheel driving instruction with a qualified instructor. After completion of this course, students will be given an insurance discount certificate as well as a PDLA form, which certifies that the student has completed all requirements before being eligible to take the road test. 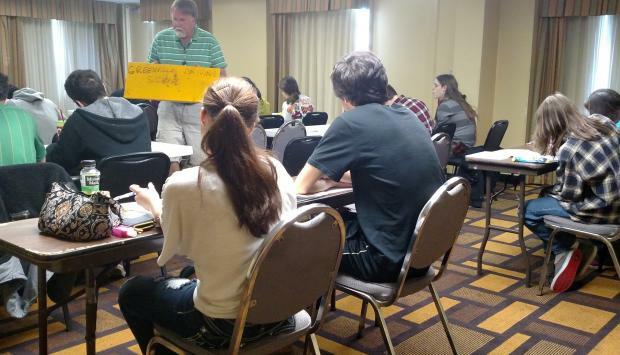 Our nine (9) hour drivers’ ed classroom sessions are held every Saturday at convenient locations across South Carolina. The six (6) hours of behind-the-wheel instruction will be split up into two (2) lessons consisting of three (3) hours each. Students will be picked up for lessons from home, school, or work, and will be returned upon completion of each lesson. Driving lessons are scheduled based on the student’s availability, and may begin within a few days after successful completion of a nine (9) hour classroom session. The total cost for the teen/new driver course is $299.00. Greenville Driving School offers a payment plan to make this easier for students and for parents. Payment of $179.00 is to be made on the date of the nine (9) hour classroom session. Payment of $60.00 will be made at each of the two (2) driving lessons. ($179.00 + $60.00 + $60.00 = $299.00) – payments made at the classroom session or at the driving lessons may be made in cash only. Due to the large number of returned checks, we no longer accept personal checks as a method of payment. This is the course required by insurance companies to qualify for an insurance discount. Insurance discounts are given to those students under the age of twenty-five (25) who have successfully completed a defensive driving course. The Insurance Discount Course will consist of nine (9) hours of classroom instruction. Classroom sessions are held every Saturday in convenient locations across South Carolina. Students will receive an insurance discount certificate upon completion of the insurance discount course. This course is included in our Teen/ New Driver Course. Greenville Driving School is offering a Fast Track program, which guarantees that a student who comes to one of our Saturday classes will complete all driving sessions within one week of the class date. Many students are in a rush to get their required hours completed, so this guarantees that students who are in a rush are able to complete their lessons as quickly as possible. Fast Track is scheduled on a first come, first serve basis. We have very limited openings for Fast Track. The cost for the Fast Track program is $40.00, payable at the time of the classroom session. Since 2012, Greenville Driving School has been licensed and approved as a Third Party Tester school. The South Carolina Department of Motor Vehicles has determined that we are able to administer the road test to students. For this service, students will be taken on an SC DMV-approved route and allowed to complete the road test. 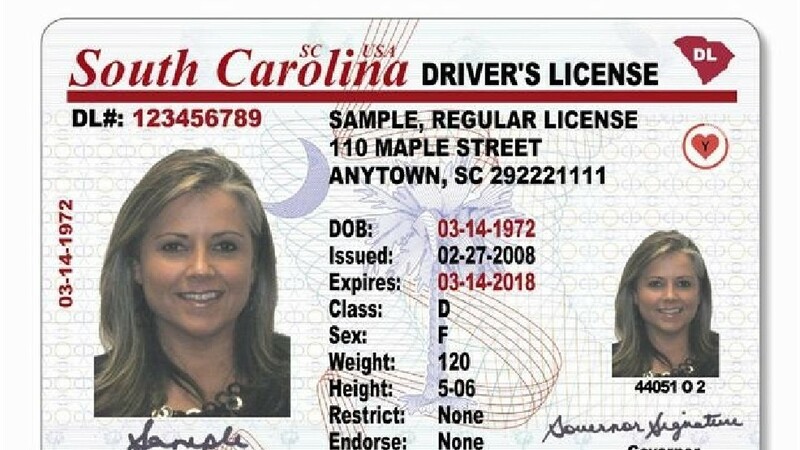 If the student passes, he/she will receive a certificate which will be taken to a DMV field office, where the student will complete an eye exam, take a license picture, and the student’s license will be printed. The cost for the road test service will be $60.00, payable the date the road test is administered. It is not required for students to complete the road test through our school, as the SC DMV will still be administering the road test daily during the week. For students who have difficulty getting to the DMV during normal business hours, we offer test administration on weekends. 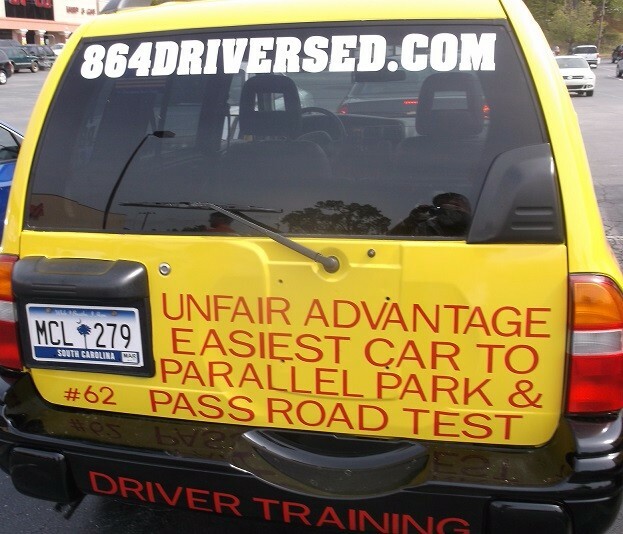 All tests administered through our school are done in our vehicles, with our instructors.